The issue of online privacy is extremely crucial for ICCMA, which is committed to safeguarding the information provided by its members and other visitors logging on to its Web site. Other Optional Information : If you wish to subscribe to ICCMA publications, newletters, etc., you will be required to fill up certain personal information related to your email address, name, country, age, choice of password, etc. However, for any of the other services such as registration for membership, etc. filling up the relevant form is mandatory. Credit Card Information : If you purchase ICCMA publications at the Site or register for an event, you will be required to submit your credit card details, including your name, account number and the expiration date. The information is used for billing purposes and to contact you if there are difficulties in processing your order. ICCMA uses / will use a credit card processing company to bill users for goods and services which will not retain, share, store or use personally identifiable information for any secondary purposes. E-mail information : When we receive e-mails from you, we may retain the content of any e-mail messages sent to us, as well as details of your e-mail address. ICCMA gives you the choice regarding the collection and usage of your personally identifiable information. During registration for “joining our mailing list,” we request for contact information in order to send bulletins and for advertising purposes. Again, it is not necessary for you to register in order to access and use our Site. You may therefore choose to opt out of providing such information. ICCMA has implemented stringent, internationally acceptable standards of technology and operational security in order to protect personally identifiable information from loss, misuse, alteration or destruction. The access to the data on the server is restricted to authorized ICCMA personnel. ICCMA cannot be held responsible for any activity in your account which results from your failure to keep your own password secure. 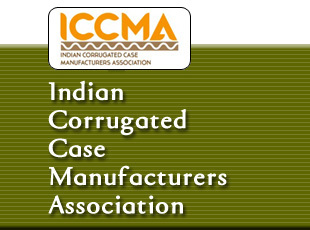 For questions regarding the privacy statement, practices of the site, or any other transaction issue, please contact iccmaindia@gmail.com.